How cute are these! 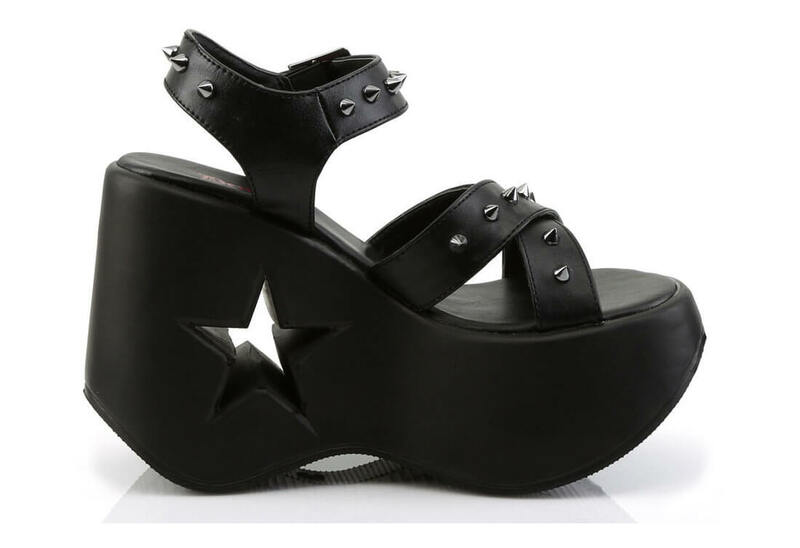 The Dynamite is a platform sandal with a 5 inch platform wedge that has a star cut out just below the heel. 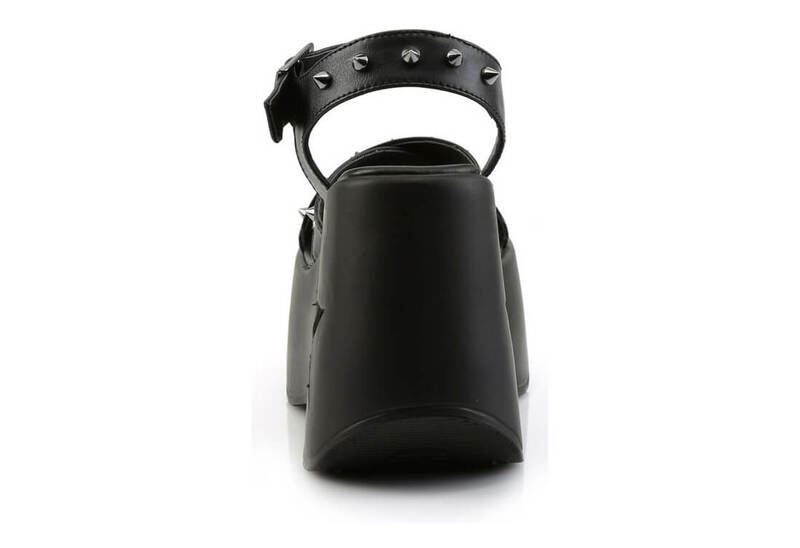 The top is made from vegan leather and criss crosses around your foot and has a single buckle ankle strap. The straps are outfitted with silver cone spikes.